It's Back! 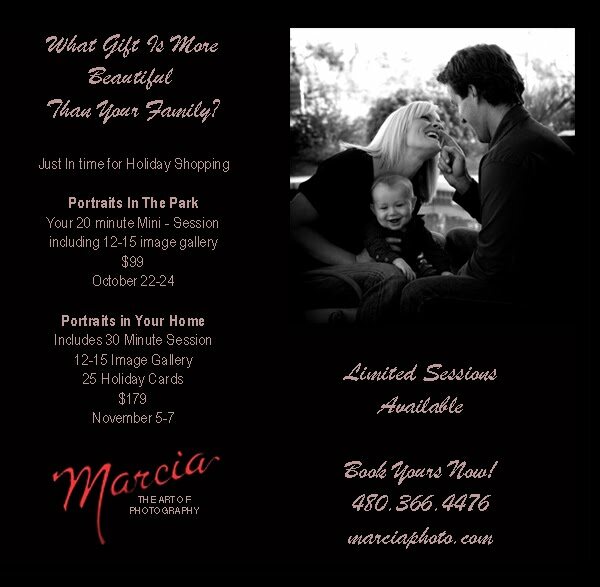 Our annual Fall Portrait Special with an added twist. 2 Events, 2 weekends. Your choice, bring the fam to the park or invite me to your home. Create a new family memory, update your family portrait and tackle that big item on your Naughty List, your Holiday gift shopping. All this and save money, too. Hurry, some dates have already been booked and the rest will go fast. Can't wait to make a memory with you and your family this Fall.